Thursday, September 27, 2012 . 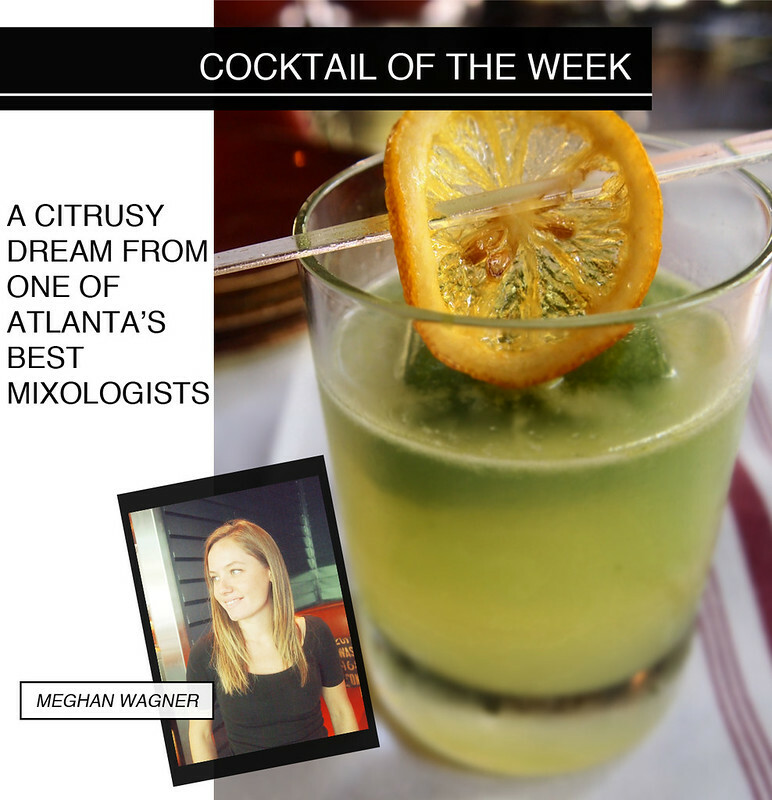 Mixologist Meghan Wagner discovered her love for all things wine & spirits while working every position under the sun as part of the Concentrics Restaurant team (Lobby Bar & Bistro, ONE. midtown kitchen, Three-Sixty St. Louis, Two Urban Licks…just to name a few). Let’s just say she’s put her time in behind and in front of the bar and knows a thing or two about mixing up a unique but still amazingly delicious drink! She’s now putting her personal spin on the hooch at the Concentrics’s latest creation The Spence, with top chef Richard Blais at the helm of the kitchen. Being a food stylist is a blessing and a curse because I want my drinks to be beautiful and delicious. Meghan’s drink is able to be both…and also packs a major punch. 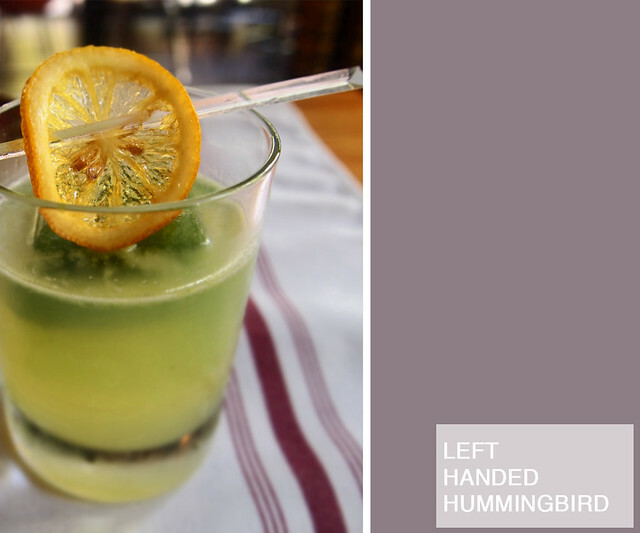 Thanks Meghan for sharing this gorge drink and telling us the secret to making it! Cocktail: Drop the burnt orange wedge in to the bottom of a mixing glass. Add the lemon juice and muddle briefly. Add the remaining ingredients. Add ice and shake well for at least thirty seconds. Double strain over the basil cube. Basil Cube: Add ½ pound fresh, stemless basil to a pot of boiling salt water. Count to five, then remove and immerse the basil in an ice bath. Remove and add to blender with 3 quarts of basil. Blend thoroughly. Strain through a chinois. Pour the resulting bright green liquid to a king cube ice cube tray and freeze.